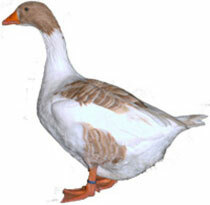 Goose breeds are usually grouped into Heavy, Medium and Light weight classes. 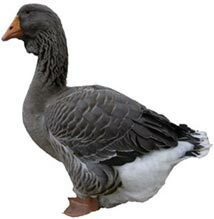 Commercially, Geese are usually bred for their meat, foie gras and occasionally for speciality eggs but for the specialist breeders and keepers of pure breed geese, they provide charming and intelligent pets, useful ‘guard dogs’ and efficient ‘lawn mowers’. 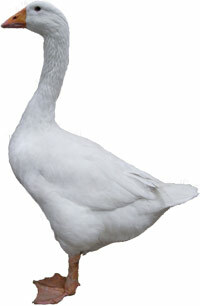 Remember not all White Geese are Embdens, just as not every white duck is an Aylesbury! Commercially, there are many crosses that have been created along the way and it is impossible to tell many apart. 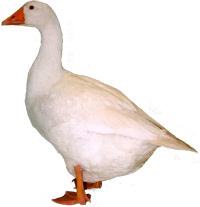 We have taken many pictures of geese at poultry and waterfowl shows but if you have a photograph of a good example of a domestic breed in a natural setting, we would certainly be interested in hearing from you. 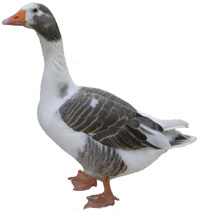 There are many breeds of geese to choose from, each breed has its own page where you will find pictures and any breed specific information. 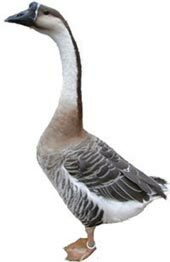 If you are interested in getting some geese then why not visit our section on keeping geese where you will find further information? 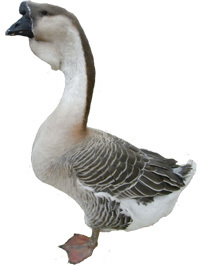 Picture Above: An Embden Goose, one of the most popular geese used commercially as part of a hybrid cross for the table. 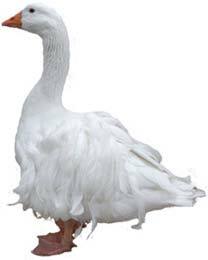 Please note: These are Domestic Geese. 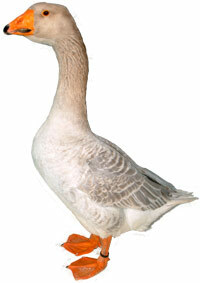 There are many species of wild geese that you may see on lakes and ponds that are not covered by this website. Click on the link under the picture to go to the breed page. 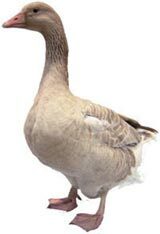 We have photographed most of these geese at poultry and waterfowl shows but if you have a photograph of a good example of domestic geese in natural settings you can share, please get in contact with me. 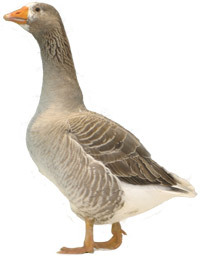 Breeds of Domestic geese are classified in the UK by the British Waterfowl Standards published by the British Waterfowl Association. They align with the Poultry Club of Great Britain Standards. the American Poultry Association in the United States. the Entente Européenne d’Aviculture et de Cuniculture in Europe. the Australian Poultry Standards in Australia. 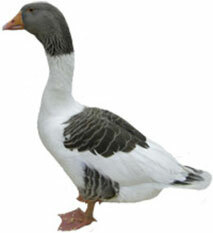 Goose Breeds Pictures Thanks… I would like to thank Rupert Stephenson, poultry photographer for his help. 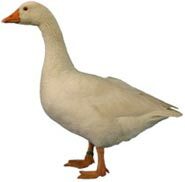 He has supported me so much with my efforts to gather photos of all the different breeds of geese. He has also has supplied this website with a lot of breed pictures. 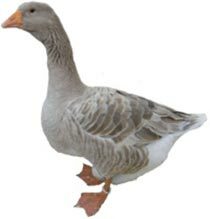 I would also like to thank the British Waterfowl Association and Poultry Club of Great Britain members for their support in allowing us to photograph their geese at the various shows over the years.